There are a lot of people out there who use increased spend to get millions of miles and points. Some people out there even do it as a full time job. A 2% earning card is their best friend. Using portals and websites to purchase gift cards online at close to no cost can rack a lot of dollars and points. I am more of a niche increased spender. I tend to do my increased spending to get sign up bonuses or spending bonuses. But, there are a few cards that I use to get maximum profit year round. I use them when the timing is right and I shoot to earn at least 3% in profit. For more info on how to liquidate Visa gift cards click here. Here are the list of cards I use to get out sized returns and the best place to use them. The Chase Ink Plus/Cash cards earn 5x Ultimate Rewards points per dollar at office stores. And, Office Stores sell Visa gift cards which are the all important tool. They also have sales on 3rd party gift cards from time to time which can be profitable as well. Where I try to focus is when these Visa gift cards go on sale. Particularly when they go on sale with an instant discount! A combination of these two sales are usually happening on a monthly basis. The instant discount sales are preferred though since you don’t need to send in rebates, which means limitations can not be enforced. The last instant discount offered gave a $10 instant discount. This brought my out of pocket cost for 2 – $200 Visa gift cards to $3.90. For this purchase you would earn 2,020 points worth $20.20. When you add in the liquidation fee of $0.70 (I never split more than twice a Walmart – personal decision) the total cost is $4.60. This purchase would bring me a profit of $15.60 and a rate of return of 3.9% (5.85% if used for travel). CLICK HERE to get more details and learn how to apply for this business card and other business credit cards! The Amex BCP earns an amazing 6% cash back at grocery stores. Unfortunately it is capped at $6,000 per cardmember year. Grocery stores, like Kroger, sell $500 variable load Visa gift cards with a fee of $5.95. Each gift card costs me $5.95 and has a cost to liquidate of $0.35 per card. For each purchase I earn $30.36. This gives me a profit of $24.06 per card, a rate of return of 4.8%. The Chase Freedom is in most people’s wallet. It is an amazing card that fills in the gaps and covers areas the Ink Plus/Cash cards don’t. It has revolving categories each quarter that allow you to earn 5 Ultimate Rewards points per dollar on up to $1500 in spend per quarter. Usually 2 out of the 4 (sometimes 3 out of 4) quarterly categories are easy to make a profit on. If we look at the Freedom calendar for this year it looks a little tougher than normal. Usually a grocery or pharmacy quarter is mixed in there. The best quarters are the 1st and 4th. Visa gift cards are easily accessible at stores that accept mobile wallets, and many Best Buy stores also sell Visa gift cards. When dealing with mobile payments you are most likely able to find a store that sells $500 variable load Visa gift cards for $5.95 in fees. Add in the $0.35 in cost to liquidate and you have a total cost of $6.30 per card. For a $505.95 purchase you would earn 2,530 Ultimate Rewards points worth $25.30 in cash. That would bring you a profit of $19 with a rate of return 3.8% (5.7% if used for travel). CLICK HERE to get more details and learn how to apply for this card and other travel rewards credit cards! 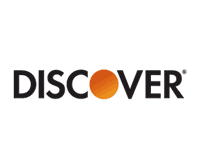 The Discover card has a similar set up as the Chase Freedom does but it earns cash back instead of valuable Ultimate Rewards points. The Discover It card actually has better categories than the Chase Freedom this year. It has wholesale clubs in the 1st and 4th quarters. It also has the valuable grocery category in the 2nd quarter. You should be able to find $500 variable load gift cards in all 3 of these quarters. Be careful of the wholesale clubs since most will sell One Vanilla cards, which are harder to unload with the death of USPS money orders. Their variable load cards are usually $1-$2 cheaper than grocery stores. The numbers will be the same as the Freedom card above. The variable load card will cost at least $5.95 with a liquidation cost of $0.35. I earn $25.30 in cash back giving me a profit of $19 and a rate of return of 3.8%. These are the cards that I currently have at my disposal that I use to make a profit while doing increased spending. Each card brings me a profit of at least 3.8%. Most of the cards I discussed do have limitations and do not allow as much bandwidth for the big time spenders. That is why I will be compiling a list of the top 5 cards for increased spending and I will be posting it tomorrow! What cards do you use to make a profit? Let me know in the comments section! I am confused about the math behind the Visa gift cards. I think you may be omitting one calculation that lowers your profit–the 2% cash back you would have earned on any purchase that you are now paying for with the Visa gift card instead of your 2% cash back card such as Citi Double Cash. For example, when you use an Ink card to buy Visa gift cards at office supply store, you indicate you earned a profit of $15.60 on $400 worth of gift cards, but you are not accounting for the $8 you would have earned in cash back (2% of $400) for whatever items you purchase with the Visa gift cards but would otherwise have paid for with a 2% cash back credit card. So I calculate your profit on the $400 worth of Visa gift cards as only $7.60. Is that correct? And of course it is up to each person to determine if $7.60 is worth their time in buying the gift cards and using them (not as convenient as a regular credit card). But overall, I much appreciate your ongoing advice on earning miles and points and saving money. Pat: I think Mark is saying he liquidates the Visa GC at Walmart with a MO so basically get’s the $$ back or uses it to pay say mortgage (something you cannot pay by a CC anyway). Pat you are talking about opportunity cost. Opportunity cost only comes into play when you are taking the lesser option. I am getting a 5% return instead of a 2% return…I don’t think taking the lesser option into account is worthwhile. You can cash out the UR points for one cent a piece for cash so there is not need to consider opportunity cost imo. Plus we are talking about profit, the numbers I calculated are pure profit. Opportunity cost is a calculation used in decision making, deciding on the best option, it is not a true cost that lowers your profit. Where do you unload the Kroger Visa cards for $0.35. I get my money orders from visa debit cards at Kroger and have a Kroger account. Walmart charges 70 cents per Money order and you can get up to $1000 in money orders so 2 swipes for 70 cents or 35 cents per swipe. Didn’t American Express crack down on gift card ms? For sign up bonuses yes…not as much for regular spend once you have the card. Are you liquidating the visa gift cards into cash in these instances? Or using them for regular purchases. I live in NYC and have not figured out a way to liquidate Visa gift cards. I use them to purchase money orders. You can get more info on how to liquidate the cards in Shawn’s piece. Increased spend? Is that like an “enhanced” form of manufactured spending or just a new euphemism? I think there’s way too many euphemisms already.